Geelong’s relationship with pizza has gone to the next level in recent times. We’ve moved well on from greasy pepperoni, thick crusts and string cheese (not that there is anything wrong with that), to gourmet meats, crunchy bases and minimal toppings. Add in produce sourced from Geelong’s fresh, local food scene and pizza is elevated to the next level. 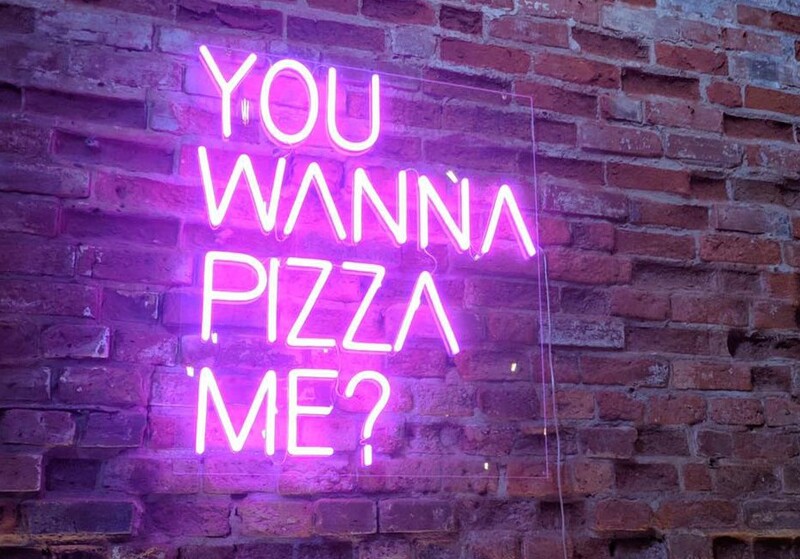 That’s where Ripe Pizza Bar comes in. Tucked away in Denny’s Place behind Beav’s Bar, Ripe Pizza Bar is a hip, brightly lit, relaxed venue that is just what the popular laneway was missing. Headed by the family master-minds behind pizza and pasta restaurant Dough Bros in Torquay, Ripe Pizza Bar was born out of the need for a new challenge, and a passion for creating delicious gourmet style pizzas, according to co-owner John Raimondo. “We were looking for a new challenge, something a little different to Dough Bros,” he explains of the new business he shares with brothers Anthony and Dave, and his wife Carly. 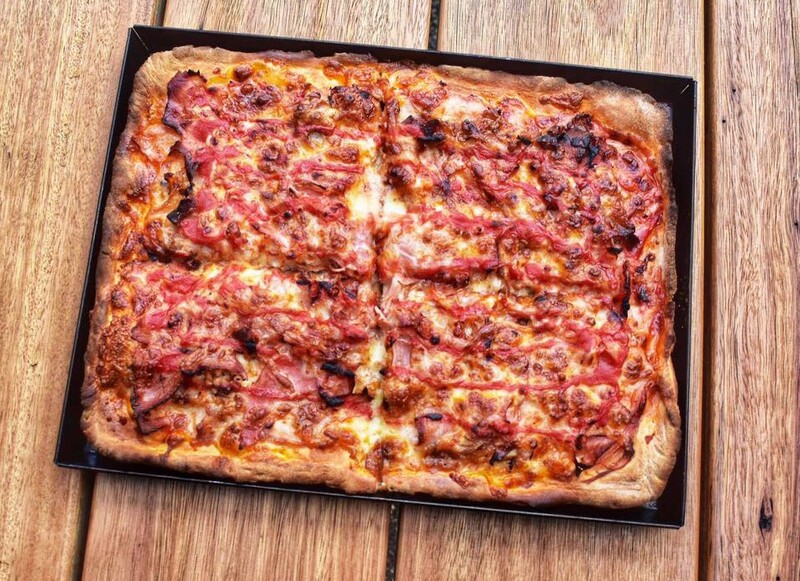 While the city-strip location is particularly unique (with Scooters being the last venue serving pizza on the strip many years ago), there’s one major stand-out factor with Ripe Pizza Bar: their Square-based pizzas. Armed with square bases and more than 30 years of pizza-making experience between the team, the menu itself is small and simple, choosing to showcase quality over quantity with their fresh, locally sourced ingredients. At a glace we can already see those family roots shining through the menu, with mouth-watering meat, seafood and vegetarian creations boasting a combination of both gourmet and traditional style toppings. If you’re keen to try something unique, John recommends taking a punt on their Eye Fillet, complete with tomato, cheese, eye fillet, mustard, kale and fontina cheese. If you’re looking for something a bit more traditional approach, you can’t go past the Capriccosa – tomato, cheese, shaved ham, olives and mushrooms. It’s definitely a winner. They’ve also got a range of pasta bakes – we spy the four cheese which looks amazing – along with fresh and wholesome salads, a cured meat and veggie board, and of course some desserts for those with a sweet tooth. With high-quality food in our fingertips, you expect something just as good to wash it down with. Going as far as to say it would go against nature to have a pizza without a beer, the team at Ripe offer all your traditional beer options, such as Corona, Asahi, Heineken and the like, combined with a wide selection of wines and mixed drinks. Also, have you met their neighbours – Blackman’s Brewery? Amazing craft beers right next door. It’s a match made in pizza heaven! With a nice crispy base, generous toppings, and cheese for days, Ripe’s got a pizza our heart. Ripe Pizza Bar is located at Shop 1/73B Little Malop Street, Geelong and is open Tuesday to Thursday from 12pm-9:30pm, and Friday and Saturday from 12pm to 10:30pm. Check out their FB here.